PersonaWorld has returned to King of Fighters XIII with a new combo video. 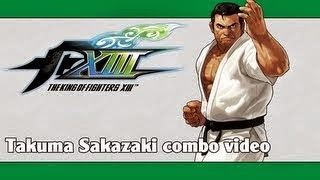 Watch the combo goer showcase some Takuma Sakazaki skills inside. Takuma Sakazaki is a solid choice for being on your King of Fighters XIII team. To prove it, PersonaWorld has gone back to the lab with the character for a combo display.